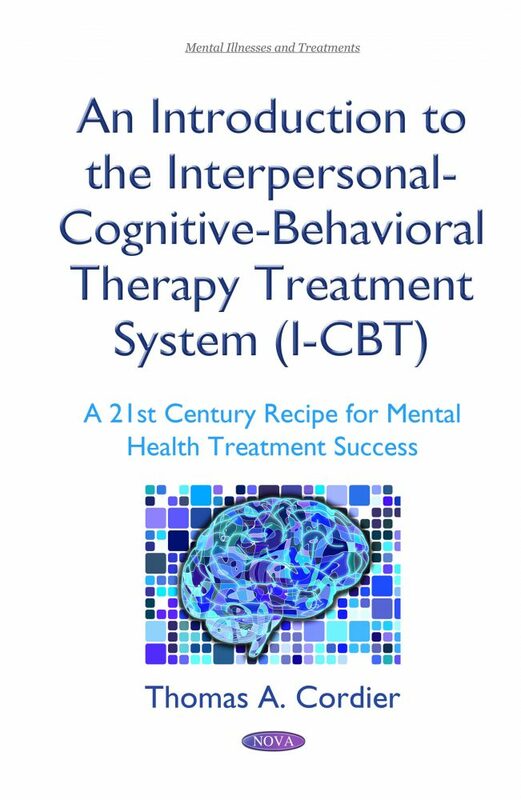 An Introduction to the Interpersonal-Cognitive-Behavioral Therapy (I-CBT) Treatment System: A 21st Century Recipe for Mental Health Treatment Success introduces a revolutionary treatment model for patients entitled “the I-CBT Treatment system”. The I-CBT system is currently being utilized to treat child, adolescent and adult patients struggling with an array of mental health issues such as depression, anxiety, post-traumatic stress disorder, obsessive compulsive disorder, and attentional deficit disorders. Additionally, other mental health issues that affect these patients. The I-CBT approach was designed to address and correct problems associated with America’s struggling mental health system. The I-CBT model incorporates pre-existing, highly effective clinical methods such as cognitive-behavioral therapy emotional intelligence and behavioral training for patients, professionals and parents “and other effective psychological and psychiatric practices” into one integrative, structured and easily comprehensive treatment system. The I-CBT treatment system serves to increase the access and usage of validated treatment in our ever-evolving complex world. This book not only serves as an instructional model to aid in the implementation of the I-CBT system but it is also lined with a wealth of valuable, explanatory material pertaining to current psychological and psychiatric practices, validated treatment concepts, and the advancement of the mental health field. The book also serves as a highly beneficial educational resource for the reader who is interested in learning more about successful mental health treatment components and their applications.